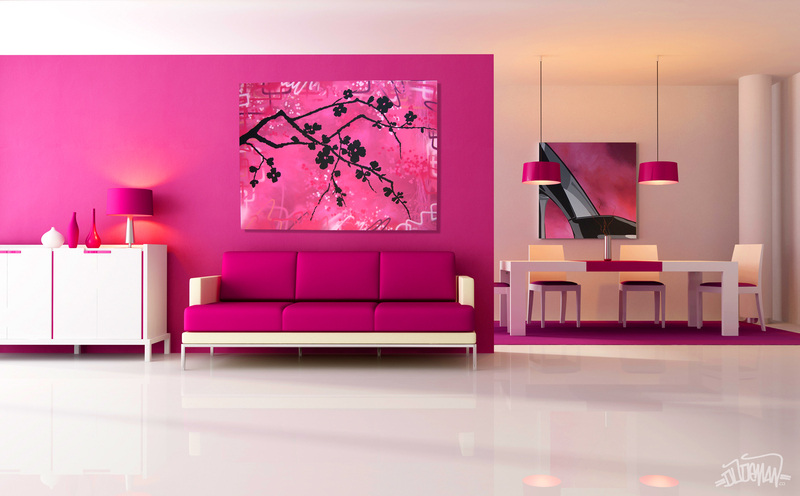 A couple of canvases styling up a chic studio. 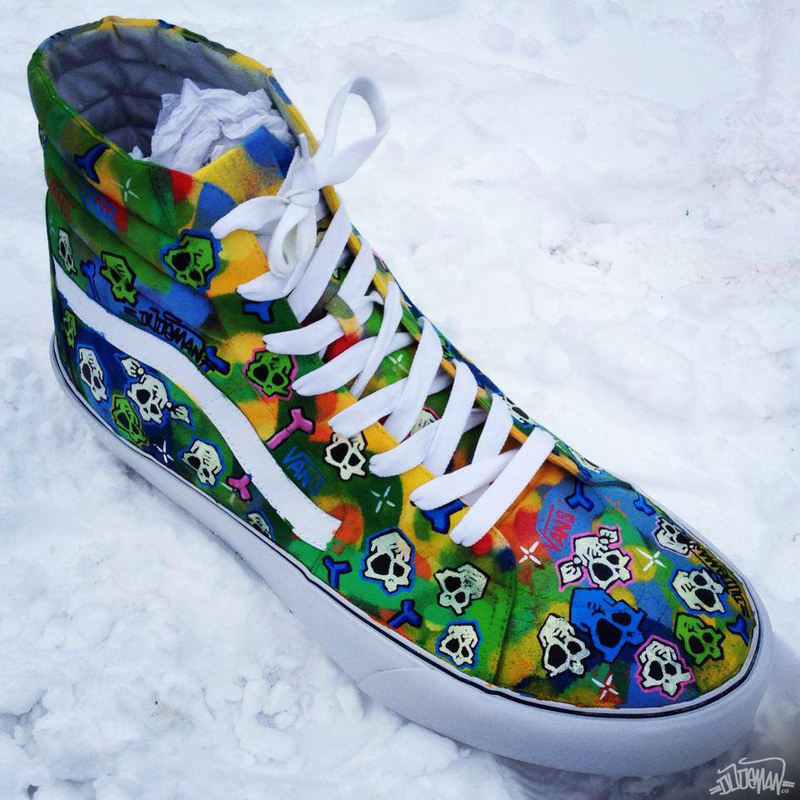 A POP ART approach to painting a shoe. 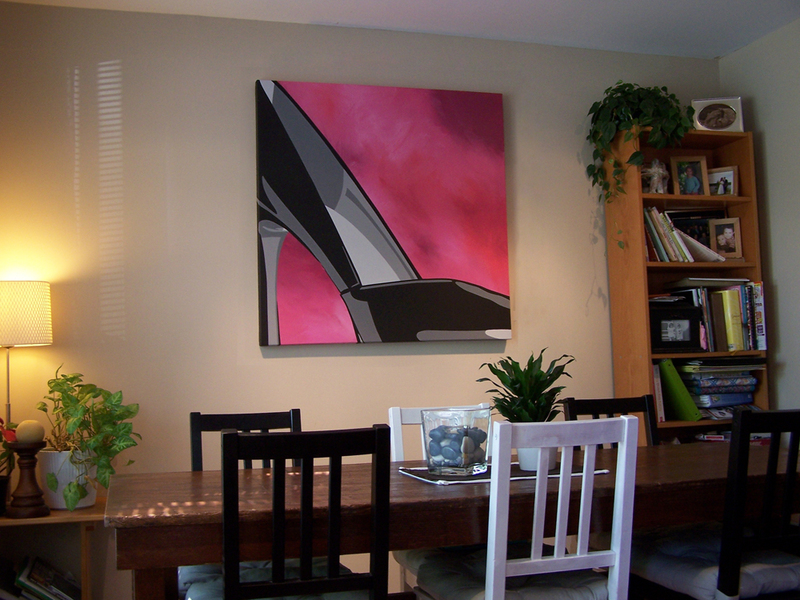 Latex, acrylics and India ink with a two part epoxy resin clear coat – 4’x4′.